Today, on Earth Day, we examine how climate-smart solutions hold the key to lifting people out of poverty. We have been sharing the faces of the hunger crisis in East Africa — bringing you the human stories that have sprung from devastating climate disasters in countries like Somalia, Kenya, and Ethiopia. In Somaliland, drought drove Ibraahin* and his flock of 200 goats and sheep to search for food and water on foot. After nearly 400 miles, Ibraahin lost more than half of his livestock and found nothing but dust. 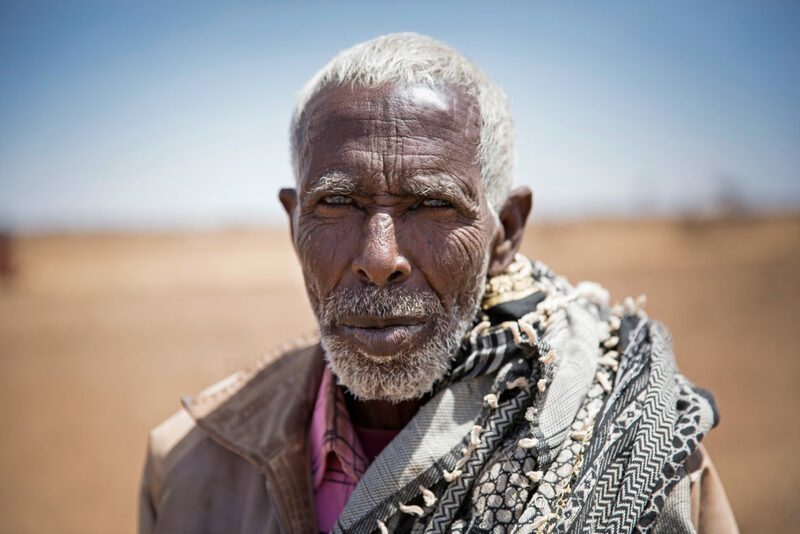 The 78-year-old father of seven explains that the drought now striking the region, which has driven hundreds of thousands of farming and herding families from their homes in search of food and water, is the worst he has ever seen. Climate events like drought, flooding, or severe storms disproportionately impact communities living in poverty, and in general, climate change is hitting the poorest regions of the world hardest. Since conflict and climate disasters are two of the biggest drivers of hunger and poverty, building the resilience is critical. With the World Bank estimating that climate change has the power to push more than 100 million people into poverty over the next ten years, failure to plan for its effects means abandoning the sustainable development goal to end poverty. Many of the world’s poorest populations rely on farming or hunting and gathering to eat and earn a living. They often have just enough food and assets to last through the next season, and ultimately insufficient reserves to fall back on in the event of a poor harvest. Just one drought or flood has a devastating effect on a family or entire community. A single failed harvest can mean families run out of food within weeks, and without assistance, will have nothing to eat until the next harvest — often many months away. To survive, millions of people rely on negative coping mechanisms: withdrawing children from school, child marriage, eating fewer meals, and selling off their last precious assets. Natural disasters, including the widespread droughts caused by El Niño, can leave millions of people without food, pushing them further into poverty, and making recovery more difficult. To survive, most rely on negative coping mechanisms: withdrawing children from school, child marriage, eating fewer meals, and selling off their last precious assets. For many, any sustainable progress made is undone because of these climate-induced shocks. The key to helping the most vulnerable deal with the effects of climate change can be found in the inextricable link between people and their environment. Eco-friendly farming techniques such as climate-smart agriculture preserve vital topsoil, allowing land to recover from degradation, and better adapt to extreme weather. Concern teaches sustainable water management, such as rainwater harvesting, and high-efficiency irrigation, and we encourage communities to use fuel-efficient stoves, biofuels, and solar power. 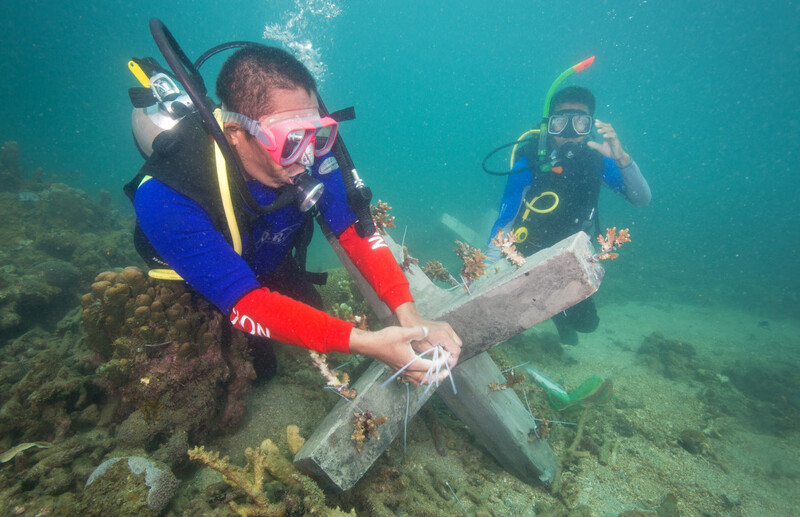 In the Philippines, Concern, side by side with community members, rebuilt destroyed coral reefs, a vital ecosystem upon which local fishermen depend for their livelihoods. 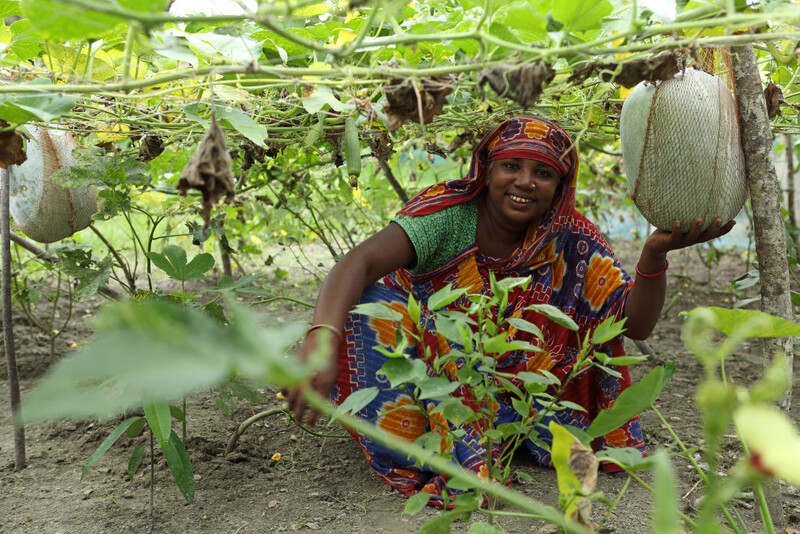 In the Bay of Bengal, we’ve worked with communities to plant mangrove nurseries to rehabilitate land compromised by erosion. Resilience means that families can protect their assets during a disaster and bounce back afterwards. Concern has also joined a ground-breaking alliance to support millions of African farmers facing climate change. The goal? To reach six million farm families with climate-smart approaches in the next several years. While taking care of the Earth will reduce poverty over time, it is also imperative that poor communities build immediate resilience to the climate disasters they are experiencing with greater frequency and intensity. Life-saving disaster response is essential; so is addressing the risk of disasters before they happen. In Somalia, Concern is working to help pastoralists like Ibraahin who struggle through recurrent droughts and continued conflict through the Building Resilient Communities in Somalia (BRCiS) program. It targets more than 200,000 people across 12 regions, through community-centered changes that have life-saving impacts. 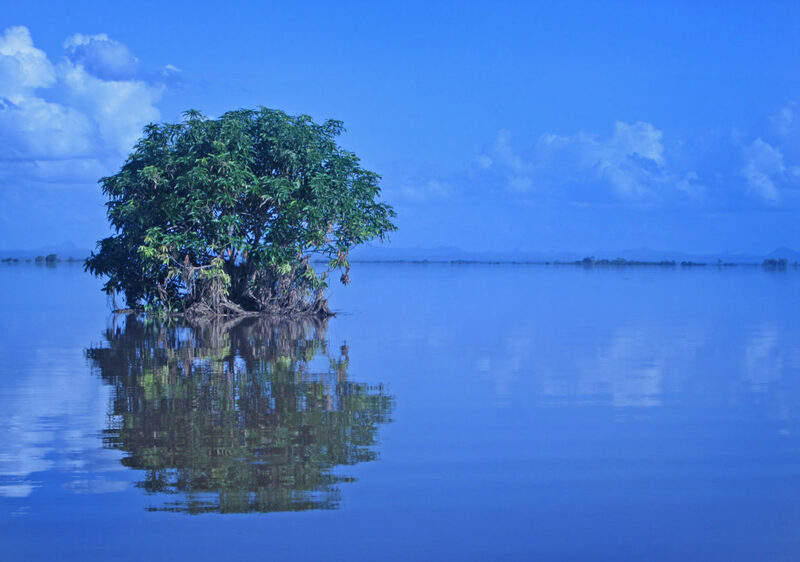 For example, in one region, safe water access was identified as a priority, as villagers were frequently attacked by crocodiles when they went to the river to get water. By reducing risks, communities can not only survive natural disasters, they can withstand them — reducing or eliminating their need for assistance. Resilience means that families can protect their assets during a disaster and bounce back afterwards, building the strength and resources they need to work their way out of poverty.